Ainsworth has been rapidly gaining popularity amongst online gambling lovers. 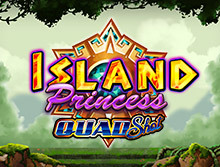 Ranking high amongst its best appearing and rewarding games is Island Princess Quad Shot. The game is based on the concept of an ancient civilization area. You will find many old sculptures and wild animals etc. while playing the game. 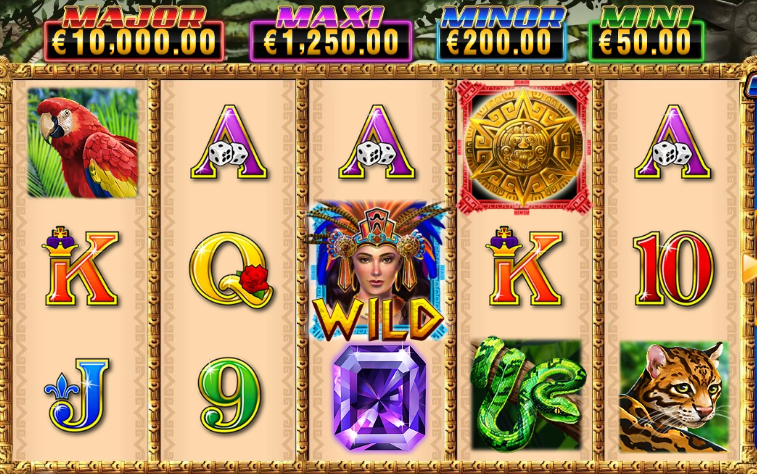 It is a simple five reel slot with easy and understandable user-interface. The game is compatible with devices like tablets, mobile phones, PCs, etc. These are the main devices which are commonly used for playing nowadays. You will find 25 paylines in the game. The features of the game are attractive and appealing. The bonus offered in Island Princess Quad Shot is also very impressive. The RTP or return to player rate of the game is an average 94.33%. It might be low because of the low popularity of the game provider. Initially, Ainsworth wasn’t that popular amongst the gaming industry members. It was in recent years that it has started gaining a lot of popularity. Hence, sometimes the game’s RTP might get affected because of this reason. The game’s conduct is extremely recommendable. The maximum bet and the minimum bet of the game stands at $1.25 and $25 respectively. The maximum number of coins which can be one during the game in a bet is 10000. Isn’t that outstanding? Visually, the game is considered to be very appealing and impressive. It is displayed in a golden colored ornamented frame-like structure within which the symbols represent the ancient theme and the jungle surroundings. Island Princess Quad Shot is actually quite better when compared to other Ainsworth games’ physical appearances. The reels of the game are opaque and are peach in color. The backdrop of the game gives a jungle-like appearance with a few old statues which can be spotted on the right. Symbols of the game include some card figures as well. These are from Ace till numerical 9, which means Ace, King, Queen, Jack, 10, and 9 all are included in it. They are bright in color and hence can be spotted easily. Other than these, you’ll find some snakes, huge cats, a gemstone of purple color, parrots, and jungle pyramid. The pyramid is the highest paying symbol and gives you almost 12 times your entire stake. The special symbol of the game is represented by the ancient princess wearing an attractive headdress. She plays the wild feature and can only appear in 2nd, 3rd, and 4th reel. The scatter symbol is represented by the gold coins. The wild cannot replace the scatter symbol. Free Spins: Everything that is free is amazing. Isn’t it? Well, the game allows you to win a maximum of 13 free spins. The first 8 spins will be received as soon as you land up with a minimum of 3 or more scatter symbols (gold coin) on your reels. The reels containing the scatter should be particularly 2, 3, and 4 to trigger this feature. During the free spins, the scatter appears on reel one and five only. Also, if you are lucky enough to land two more scatter symbols specifically on reel 1 and 5 together, you will be rewarded with an additional 5 free spins. Hence, collectively you have a chance of winning 13 free spins. Minor: Similar to the above one, the conditions for this bonus are exactly the same. The only additional requirement is the presence of wilds on the reels. Maxi: To trigger this bonus, you are required to land up with 5 of the same kind win where you have any of the six cards symbols which were mentioned above. There should be no wilds and on the sixth reel, the Quad Shot Bonus should be present. Mini: In this, the specifications required are exactly similar to the ones mentioned in Maxi. The only additional requirement is the presence of wilds to be spotted on the reels. Island Princess Quad Shot is thus an impressive game offering a number of opportunities to win. With an average RTP, the game offers a lot more than average experience to the players. It is surely recommended and is good for earning some interesting rewards.